Project Sewta- 2 Dreadlocks Are Easier Than You Think? 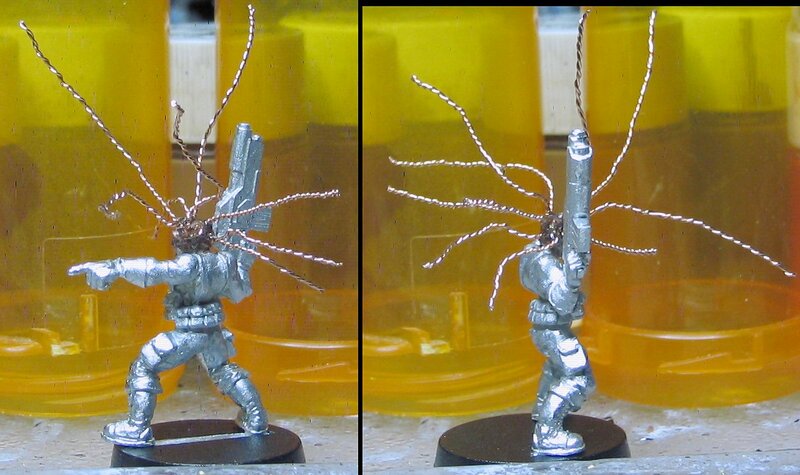 I didn't expect it to be a Herculean task by any means, but these wire dreadlocks were a lot easier than I expected. 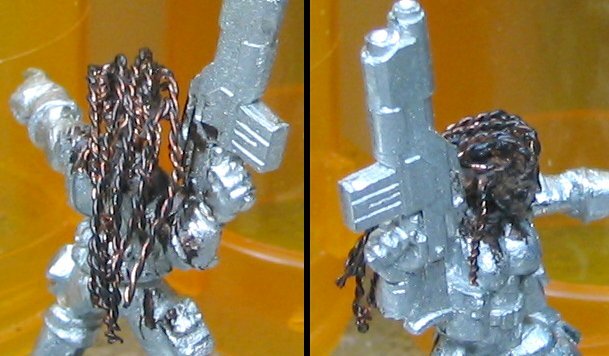 More dreadlock conversions are definitely coming soon. First off I got the smallest drill bit I for my pin vise I could find and planned out where wires should go for the best coverage of Sewta's head. Before this I cleaned up the mold lines and flash and filed off her buzzcut hair. A careful series of several holes were drilled in just far enough that the wire dreads would be secure enough with a little super glue. 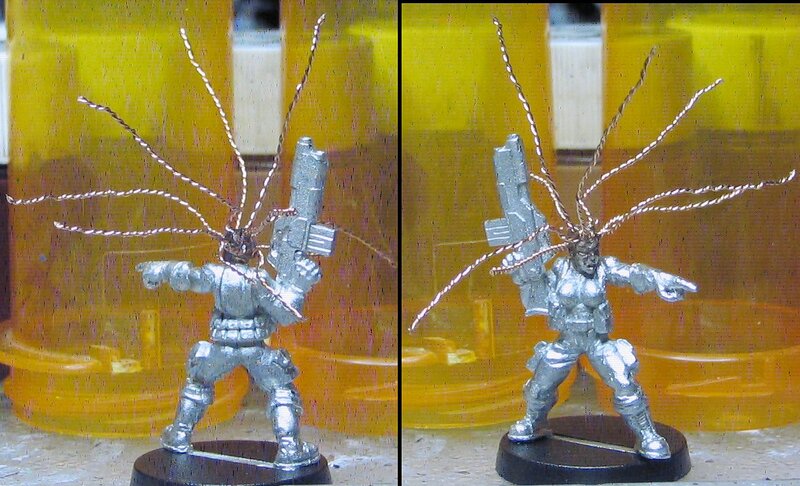 Next came the wire dreadlock insertion. I poured out some super glue into a glue holding container and dipped the ends of the wire in the glue before inserting them into the drill holes. I left the wires straight for the first 24 hours or so just to make sure that they would get maximum strength from the super glue. 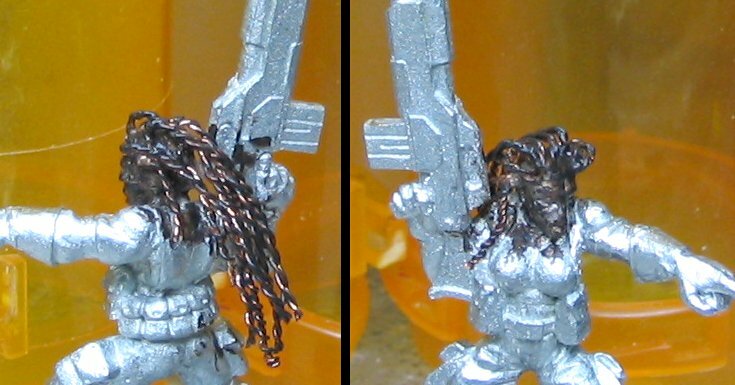 She looked pretty cool with this Medusa-like look and has inspired some other conversion ideas. Playing around with the dreadlock length and placement I realized there were a few gaps that needed some little wire bits on her head. These were glued into the areas to help build up the dreadlocks and cover the blank parts of her head. Finally I bent the dreads around so they looked more natural. I gave her head an ink wash because I thought it would help show off the details. Next up is the backpack and maybe some other little details.